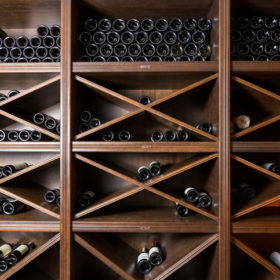 Are There Still “Off” Vintages in Oregon? Do you still need to worry about whether or not this year, or any year, was a “good” year for Oregon wines? One of the defining characteristics of Oregon wines is their ability, year after year, to reflect the overall vintage conditions. And those conditions are anything but predictable. Recently, a succession of the warmest growing seasons on record has wineries wondering how much of a good thing is too much? In 2014, the measure of growing degree days in the Willamette Valley (basically, how much heat the vines got) was 25–30% above the norm; in 2015 it was even higher. For 2016, the trend slowed down a bit, though bud break was as much as a month before normal, and harvest was the earliest on record. These changing conditions solve some issues and bring new ones. The idea that there are “off” vintages in Oregon, which prevailed over the last two decades, no longer holds true. With a half century of winemaking experience to draw upon, better clones than ever, GPS-driven planting, spacing and orientation, and yes, warmer and drier weather, Oregon’s winemakers have achieved a level of consistency previously unattainable. Consumers need no longer worry about whether or not this year, or any year, was a “good” year. Because in every year good, sometimes great, wines are made. 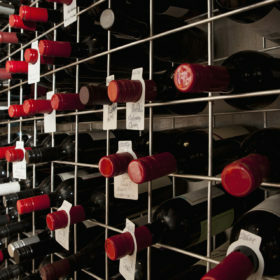 In more challenging vintages, such as 2011 and 2013, the wines hew closer to a European model, with higher acids, lower alcohols and complex aromatics. The best examples have the structure to age longer and develop more refinement than wines from warmer, riper years. In other words, Oregon wines are not set in stylistic stone; they are vintage-specific in the best sense. The vineyard and the producer are your most reliable guides to quality, not some generalized assessment of an entire vintage. Ovum 2015 Toro y Scorpio Riesling (Ribbon Ridge); $25, 94 points. It’s a pleasure to see another winery determined to explore the potential of Oregon Riesling, here sourced from a top site in the Ribbon Ridge AVA. Ripe, round and rich, this offers a complex mix of grilled peach, pineapple and papaya fruit, with a lively touch of mint. The underpinning of wet stone minerality adds length and texture. This belongs among the very best Rieslings from the state. Editors’ Choice. Bethel Heights 2014 Casteel Chardonnay (Eola-Amity Hills); $75, 93 points. As befits a reserve-level wine, this is big, bold, rich and full-flavored. It amplifies the ripe apple and peach fruit, and slathers it in buttery caramel and sweet spice. Drink now through 2020. Lange 2015 Reserve Pinot Gris (Willamette Valley); $28; 92 points. Fermented in neutral puncheons, this is a dense, rich and mouth-coating wine that ups the bar for Oregon Pinot Gris. The neutral wood aging expands the breadth and texture. There’s a rich mix of apple, jicama and Bosc pear fruit, lightly touched with wood highlights, and finishing with a lick of buttery caramel. Editors’ Choice. Big Table Farm 2015 Wirtz Vineyard Edelzwicker (Willamette Valley); $28, 90 points. Edelzwicker is an Alsatian term meaning noble blend, and is applied to any blend of white wine grapes. Here it includes Gewürztraminer, Pinot Gris and Riesling. This white is substantial and fruit-driven more than floral in this new vintage. Apple, pear and nectarine flavors carry a light touch of mint. It’s very refreshing, well balanced and distinctive. Raptor Ridge 2015 Grüner Veltliner (Chehalem Mountains); $20; 88 points. The winery’s consistently flavorful version of this grape puts a New World spin on an Old World grape. It’s ripe, round and lightly spicy, with jicama, cucumber and fleshy pear fruit. The finish is persistent and tags you with a touch of heat.